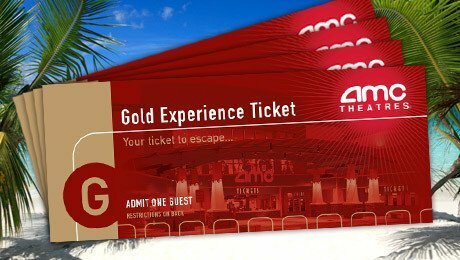 We have shared about deals on these AMC Gold Experience tickets in the past, and they were suppose to not have an expiration date on them, so we wanted to make you aware of recent changes at AMC that will impact you if you have any of these tickets. They were discontinued as of July 1, 2018. On the AMC FAQ page they provide some instructions on how you can trade them in for a Yellow Ticket (which does have more restrictions), if you still have Gold or Silver Experience Tickets. Check out their FAQ page here for more details on this, as well as details on how the Yellow Tickets work. I sent pictures of my two invalid tickets to amc a few weeks back. I have not received any replacements yet. How long does it take? I Think the person who replied to the e-mail was named Cooper. Hi Thomas – We did not purchase these so do not know how long it takes unfortunately having not gone thru the process ourselves. I would definitely reach out to them on FB though to let them know your experience & see what they say. I have found that reaching out to companies on FB can get a faster response sometimes. Good luck! It has been so frustrating to get my Silver tickets exchanged. Please let us know how to do it. Oh how frustrating! Sorry you are having so many issues! As I recommended to Thomas, I would recommend reaching out to AMC on FB & letting them know your frustrating experience. Hopefully they will respond faster that way! Why don’t you let us exchange them at your theaters? We bought them in good faith. Why are you making us jump through hoops to use them? I’m a recent A-List member but my kids aren’t old enough to join so I have a bunch of passes that I was planning on using this weekend. Hi Scott, We have no association with AMC, we were just sharing the information so folks would know about the change and how to exchange them. You will want to contact AMC’s customer service directly with questions and concerns. Thanks! I have four gold tickets that I need to exchange. How do I go about doing this?